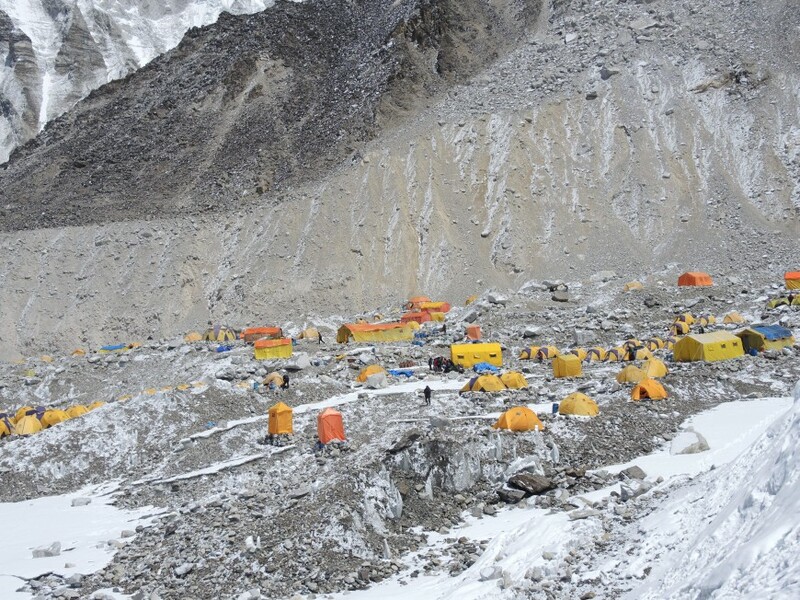 In todays blog will I share a blog I wrote on when I was up in Mount Everest Basecamp. It is a very personal blog where I share some of my thoughts and feelings about the life journey I am on. Even though I did not get the opportunity to climb Mount Everest this year, is my life still moving and exciting. I do not know exactly when my life changed into the direction I am on now, but a significant turning point in my life was when I left my job in the bank I worked for as a Project manager, and went on an one year journey to Asia. This was january 2013. Up until then had I done most of the right things you shall do in an ordinary life. I have studied at one of the Business Schools in Norway and accomplished a Master degree within the subject area Business and Administration. I had a well paid job in a bank and have an apartment in a good neighbourhood in Oslo. I had and still have lots of good, caring and interesting friends that I hang out with in my spare time. Even though I had done all the right things that I was expected to do and lived a good life, did I feel as if there where something missing in my life. I just had a feeling of emptiness in a place deep within. It felt like something where dead within, and I did not know how I could wake up this dead place within. As I mentioned earlier took I a year brake and travelled around in Asia. I shared my time in Asia between volunteer work in Myanmar and Nepal. I travelled to Tonsai beach in Thailand which is famous for rock climbing opportunities, I spent 100 days on treks in the Himalayas and two months in Mysore in India practising yoga. I filled the year with activities that I have a passion for. I have been lucky and had persons in my network, who made it possible for me to get in contact with the right people who has made this year an adventure. A journey like I did in 2013 has so definitely changed me and I feel more alive today. 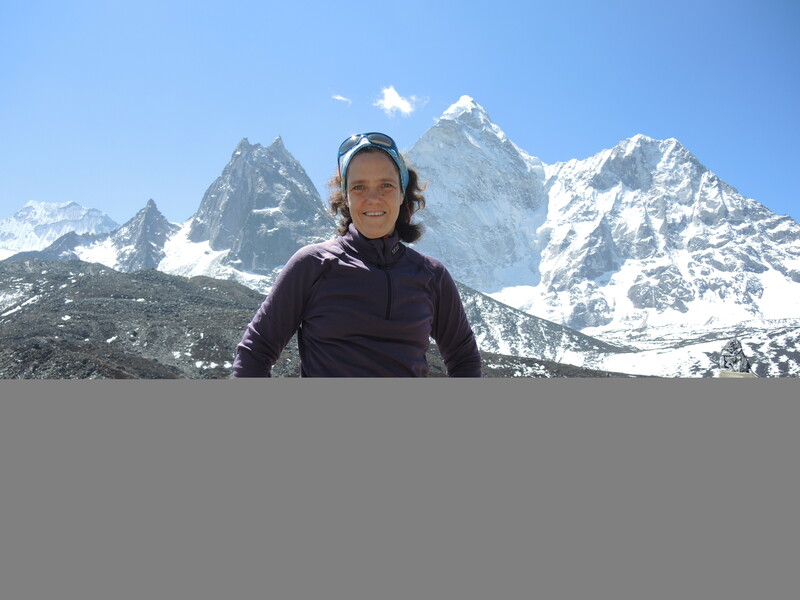 It is mid april 2014 and I am sitting in Mount Everest Basecamp writing this blog on a Mount Everest expedition, while I am waiting for the time to pass, so I can start on the next activity in the acclimatisation program I follow to be ready to climb Mount Everest. The acclimatisation program in an expedition like this is a combination of activity and rest. For each new altitude level I reach must my body get acclimated to the new level, before we can take a new step to a higher altitude level. It is good to have something else to think about like writing this blog. You who read this blog may wonder why I decided to participate in an Everest expedition. It is under a year since I made the decision that I wanted to climb Mount Everest and contacted Ascent Himalayas Treks & Expedition, to ask if I could take part in their expedition. To participate in a Mount Everest expedition was not in my wildest dreams when I left Norway by the end of january 2013. The idea grew and matured on me while I was on my journey in Asia. Through a friend in Norway did I come in contact with Mingma Tsiri Sherpa who is the founder and owner of Ascent Himalayas Treks & Expedtion. Mingma and his family is also one of the most experienced Sherpa families in Nepal when it comes to climbing expeditions in the high mountains of Himalayas. During my stay in Asia did I participate in two treks with his company. The first one was to Rolwalling which is the valley where many of the Everest climbing sherpas come from. On the second trek was I with Mingma climbing Island Peak(6.189 meters) and Ama Dablam (6.812 meters) in the Mount Everest region in Nepal. On this second trek to Ama Dablam did I come in contact with this dead place I had felt inside and it was not dead anymore. It was filled with peace. Here was I up in the mountains on until now the most dangerous trek I had ever taken part in, and I felt peaceful. In that moment did I know that being up in this high mountains was a place I needed to spend more time to get in deeper contact with myself. I knew it was right of me to participate in a Everest expedition. To participate in a Everest expedition is expensive so you do not make an decision to participate unless this is something you really want to do. I have never had any doubt about my decision. It has felt right from day one. My life has been in motion the last years. A life in motion is for me a life where I listen to what is going on inside of me and make changes that brings me a small step closer to live in harmony with myself. I believe that being in harmony with myself is the key to be in harmony with the people in my surroundings. I also believe that the only person it is possible for me to change is myself. So if I want some changes in life then I have to figure out what I can do to make them happen. To make a change contains of many small steps and take time. It is important to be patient and not give up. If the change you want in life is important for you, will it be worth the energy you have to put in to the process to get there. For me has the two important ingredients who have brought me where I am today been presence and decision making. Presence is important so I can feel what is going on in my life both on the inside and on the outside. Meditation, yoga, being out in nature and solitude is my help to being present and in contact with myself. Decision making is important so I can act upon the feelings and changes I feel is necessary for me to put out to life. To make an decision can be scary. Especially if it takes me out of your comfort sone. What life has learned me is that it is often more scary to think about the consequences in the period before you have made the decision. When the the decision is made must I just try to make the best out of the situation I am in. 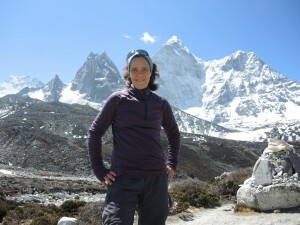 My Ama Dablam Trek where I spontaneously felt this inner peace for the first time, learned me something very important. Sometimes you do not know on beforehand what moments in life that will be important and life changing.